Show them an unforgettable performance in an unforgettable Animal Print saddle. We love this edgy barrel racer from Alamo. It has a black suede split seat with Zebra inlay, gorgeous floral tooling, and zebra styled trim. The saddle is built on a fiberglass covered wood tree and features stainless steel hardware and inskirt 7/8 position rigging. Order the saddle and tack package together, and get a 10% discount on the tack. Receive a beautiful Zebra headstall and breastcollar and find out why Alamo is famous for its gorgeous “jewelry on tack”! * Weight: Approximately 24 lbs. Get a 10% discount when you order the matching tack set with the saddle. Only $199! Alamo Saddlery was founded in April 1996 under the direction of the late Roy E Martin. 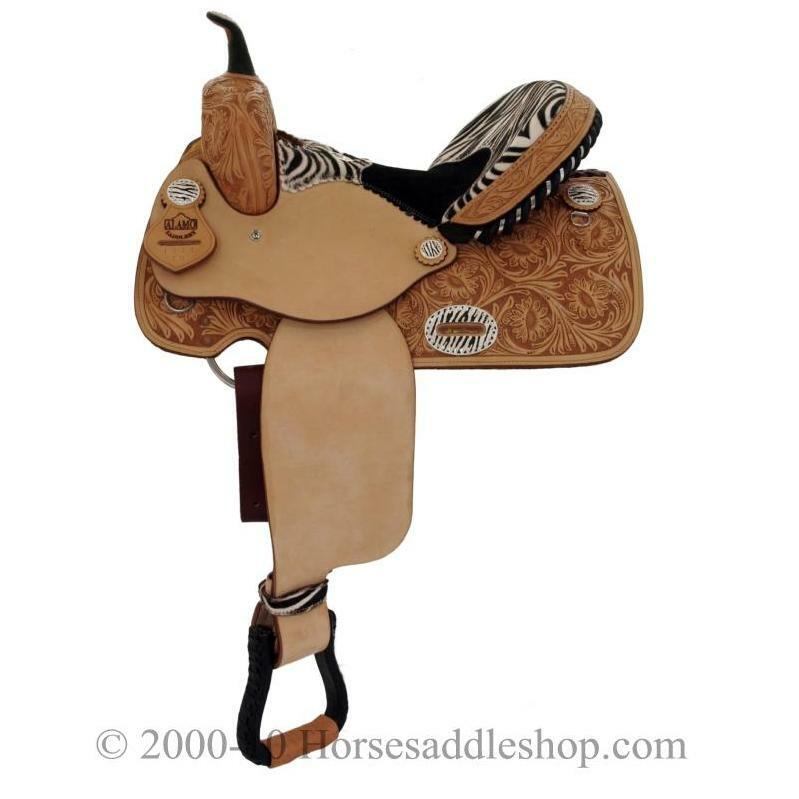 Roy had 30 years experience in the manufacturing of western saddles and tack. With his knowledge and expertise we developed high quality saddles and top of the line tack that is priced to target the middle-market.